Local Pizzeria Pi may be one of the best kept secrets in St. Louis for a slice of your favorite triangle-shaped delicacy. 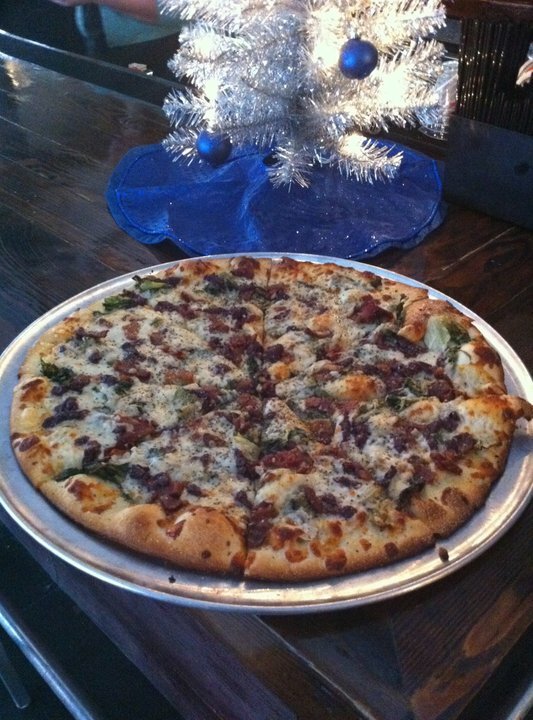 The award winning thin and thick crust pizzas at Pi have become popular around the St. Louis area over the past few years, and they have expanded to four locations around the area: University City, Kirkwood, St. Louis and Chesterfield. They are even opening a restaurant in Washington, D.C. – scheduled for Spring of 2011! This holiday season, Pi has a great promotion going on where you can get a free pizza in exchange for a toy donation. In support of Toys For Tots, bring in a new (unwrapped) toy to any location by December 24 and receive a free pizza with equal or greater purchase. “Unwrapped toys: The thorough sorting, checking and distribution process requires that we be able to clearly see the toys and evaluate them for gender and age appropriateness. Seal and Shrinkwrap: Video / DVDs / CDs / Video Games- our distribution process requires that all movies, music and games be in their original shrink wrapped packaging. This is a great promotion and it supports a great cause! Don’t miss out while it’s going on – it’s only until December 24, 2010! For more information about Pi, visit their website at restaurantpi.com.